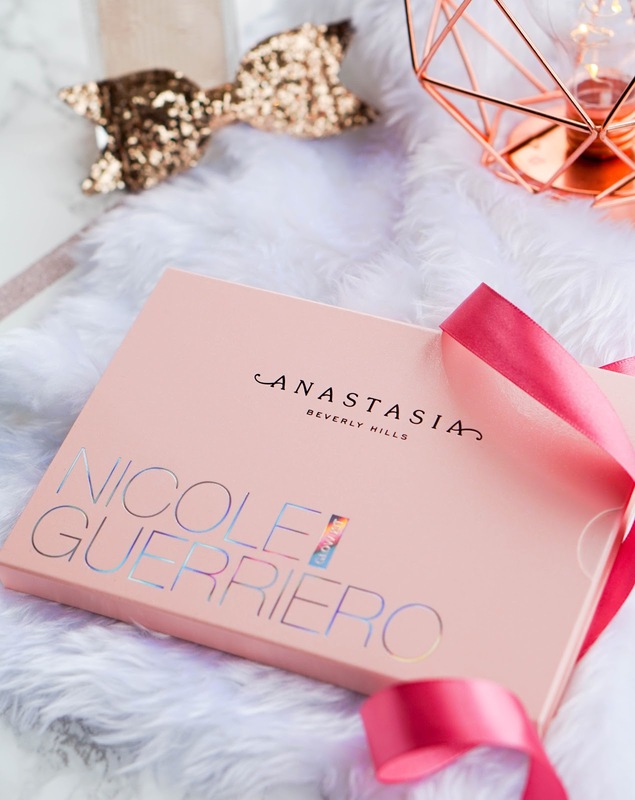 After lusting over the various beautiful Anastasia Glow Kits for many months, I finally bought my own palette when I saw the collaboration that the brand had organised with beauty guru Nicole Guerriero. I bought it directly from the new UK website within days of its release and I received it in no time at all without any issues, so I definitely recommend it. I watched a couple of videos and researched the palette before its release, so I knew that the highlight would be intense. To be honest if you're going to wear highlight at all, why would you stop at anything less. I'm really happy I made the choice to get this palette, it's a thing of beauty and I love every single shade within. I believe this Limited Edition palette is still available, so if you want to get your hands on it than make sure you do as soon as possible, before it disappears. It's priced at £39, which is fair considering there's 6 different shades that are well sized at 4.5g each. 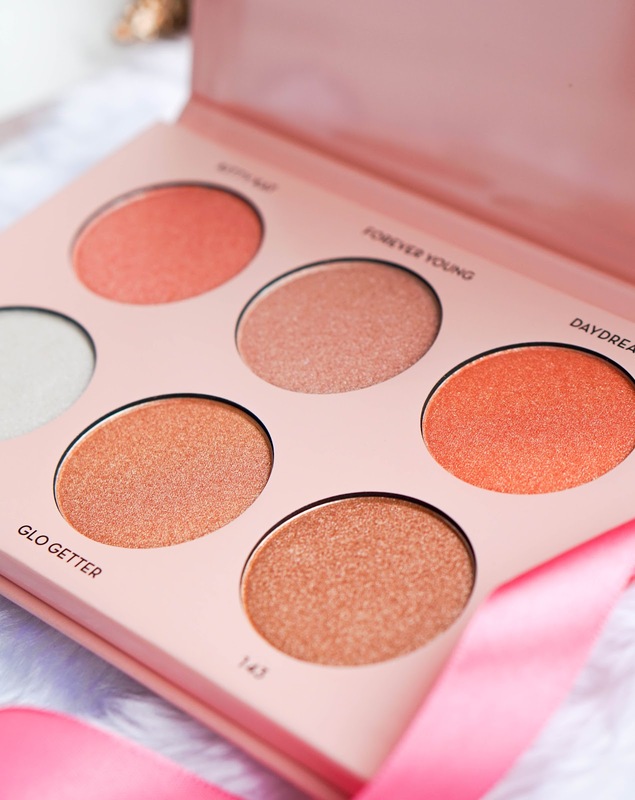 The palette comes in a beautiful blush pink package, made of sturdy cardboard. I doesn't have a mirror unfortunately, which can be a minus, but it's not something that I mind too much. All 6 powders are metallic highlighters that can be used separately or layered for an extra luminous finish. They can also be used dry or wet, depending on how intense you want your highlighter to look and the desired overall result. Kitty Kat – a warm peachy-pink with a metallic reflect. I am loving this kind of warm tones for spring, so it's one of my personal favourites. Forever Young – a warm beige with peach undertones and a metallic silver finish. There's noticeable micro-glitters in this shade, so it's super reflective yet it still felt creamy and blended out easily. Daydream – a warm bright coral with a gold metallic sheen. This looks more like a blush in the pan, but it definitely applies lighter to the skin with a peachy golden finish. Forever Lit – a cool-toned platinum white with lavender reflects. This is a great shade for paler skin tones, so I use it more on the eyes than I do on the face. Glo Getter – a warm golden champagne with copper undertones. I find this quite pigmented and super creamy, so you do have to be a bit careful when applying to avoid the disco ball effect. 143 – a dark rose gold with a bronze metallic finish. This one has a bit more sparkles than the other shades, so if you blend it out too much you will notice the micro-glitters. This shade is too dark for me at the moment, but I know that I will wear it all the time once I have a sun kissed glow to my skin (my sun holiday in June couldn't come any quicker). The powders are finely milled and even though there's a lot of sparkle, there's no chunks of glitter at all. The formula is very silky and smooth, so they apply beautifully and blend out seamlessly. So as I mentioned at the beginning these are very intense highlighters, with an almost metallic finish.. so if you are usually a subtle highlighter kind of gal, then you won't be a fan. Most shades are quite warm toned, but there is a variety so I believe the palette overall would suit most skin tones. All shades wore quite well throughout the day, easily lasting for up to eight hours. The palette may not be 100% perfect, but I do love it and have no complaints personally. I'm also glad I was one of the lucky ones that received theirs in mint condition, as I have seen a lot of posts showing their palettes completely shattered. 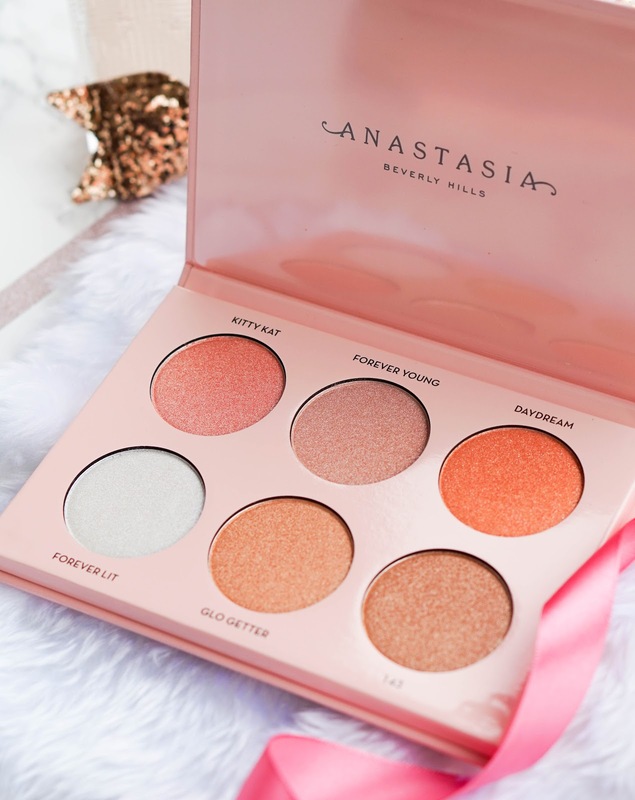 What are your thoughts on this ABH glow kit with Nicole Guerriero? 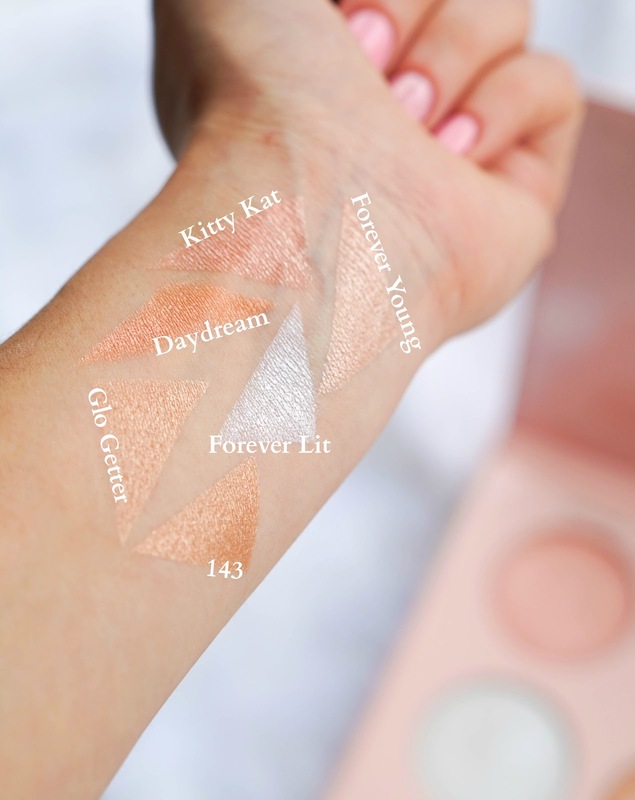 Do you have any other glow kits from the brand that you love and recommend?